Google's birthday doodle on my birthday. The clock strikes 12:16 AM and I open a new tab on Google Chrome - and tadah! There's a new doodle that looks like a birthday party. When I hovered my cursor to check what it is about, I was surprised - it's for me. Google greets me 'Happy birthday!'. I know that this is one of Google's tricks to win more people. 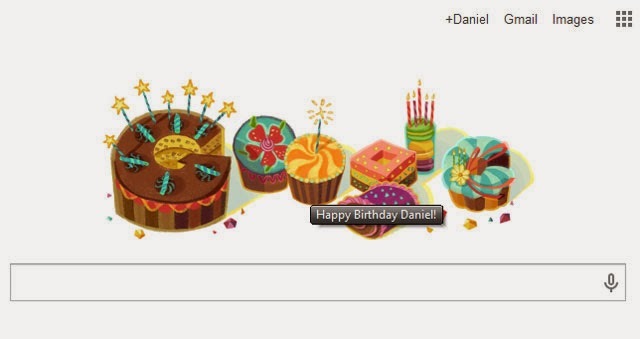 But the doodle just looks very personalized like a hand drawn greeting card and it paints a smile on my lips. I was very pleasantly surprised this morning. Thank you Google!! !